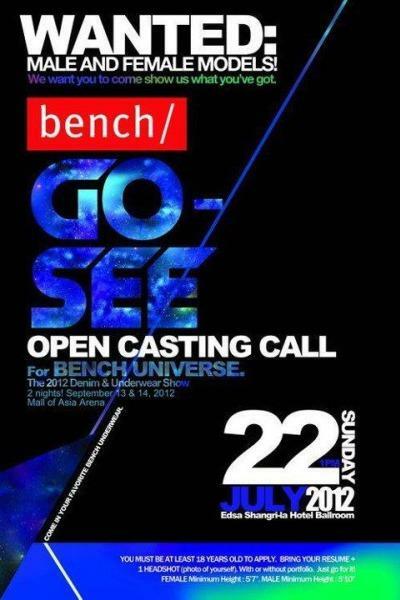 Join The Bench 2012 Denim & Underwear Show Go See! With or without Portfolio, just go for it! Chosen ones will join the 2012 Denim & Underwear Show on September 13 and 14, 2012 at the Mall of Asia Arena. I just recently saw this poster and am wondering if there is a 2nd round of casting call? I'd love to show you guys what i got.